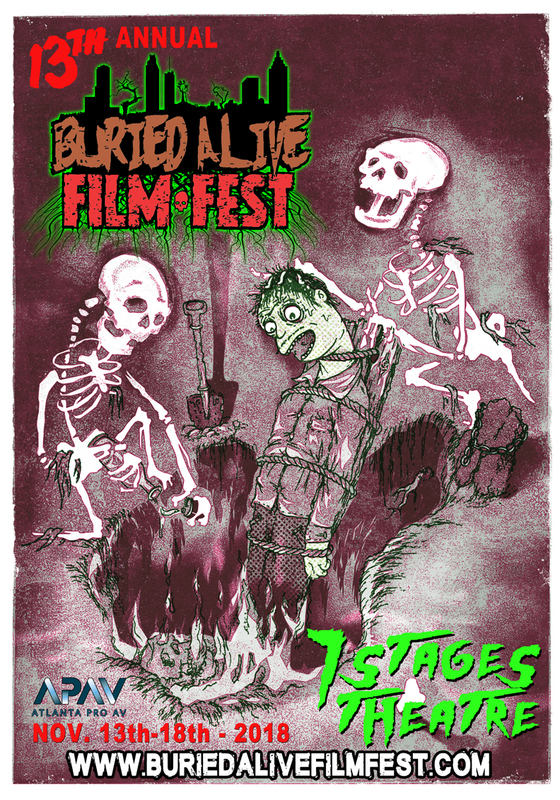 2018 Buried Alive Film Fest will be held on Nov. 14-18 at 7 Stages Theatre!!! 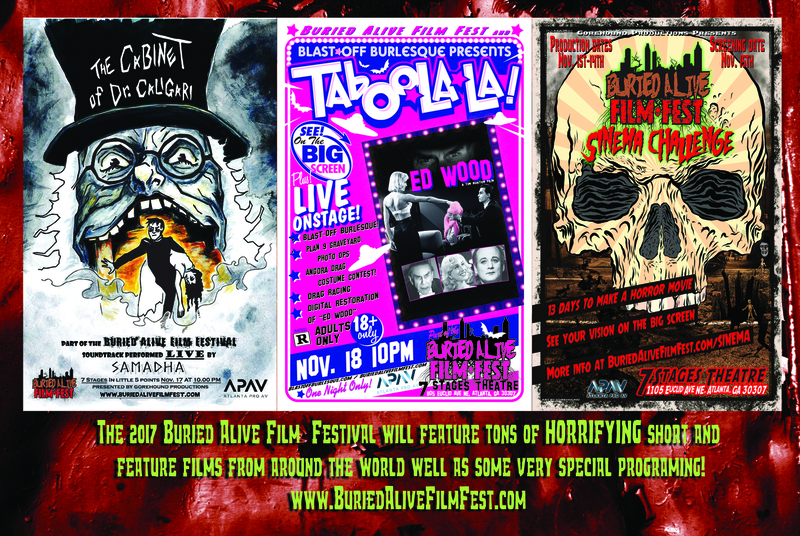 Come out and see some of the best independent films in the world! 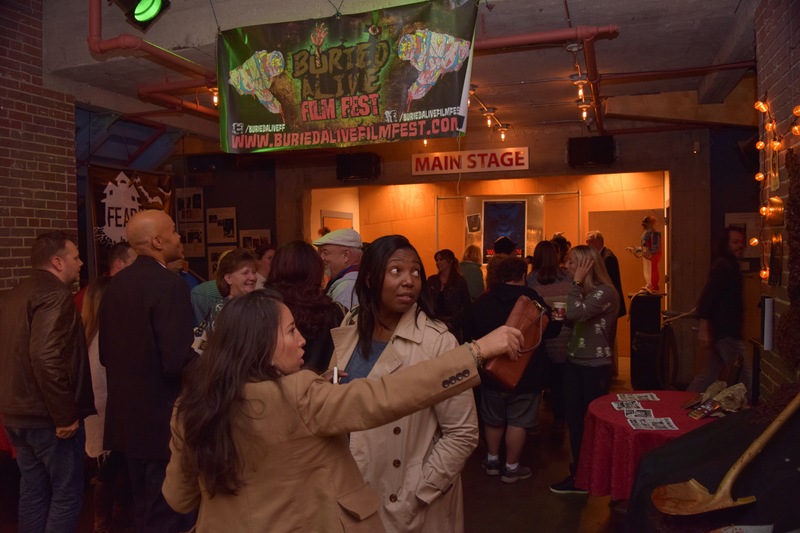 This November the Buried Alive Film Fest has a new home at 7 Stages Theatre located in the heart of Little 5 Points Atlanta. 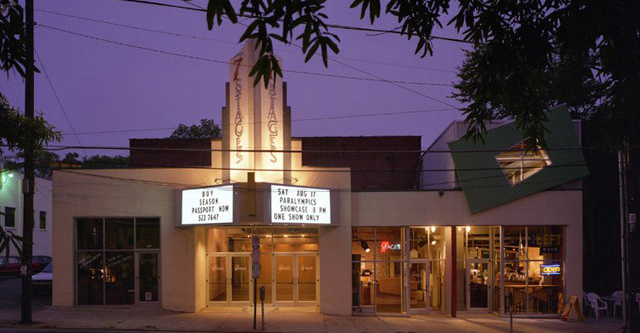 Also our new location is connected to the great coffee house and bar, Java Lords, making it easy to grab a drink or coffee and enjoy a beverage in the theatre! 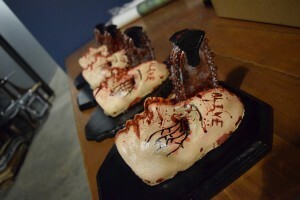 We will return with some of the most disturbing, visually appealing, and scary independent horror films in the world. Out of all of the submissions our judges have narrowed it down to this fine selection of horror gems. So grab a drink and see them all on a big screen with nice comfy seats! The modern age of digital film-making has flooded the market with tons of films, one seemingly indistinguishable from the next. The depth and breadth of horror fandom, combined with the rapid growth of independent film-making, have led to an explosion in indie films dealing with the terrifying, macabre, gory, and bizarre. Our films are not for the faint hearted or timid. We pride ourselves on finding the weird, the gross, and the horrifying. With that being said we consider our general festival rating to be 17+ or R-rated. Which means no child under the age of 17 without a proper guardian. Click the HERE to see who won! 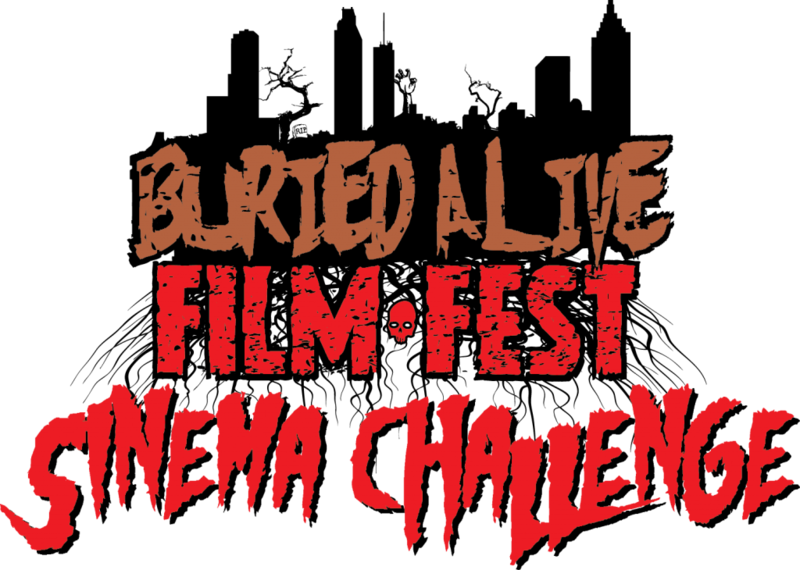 The Buried Alive Film Fest of Atlanta is your chance to prove your film’s worth. 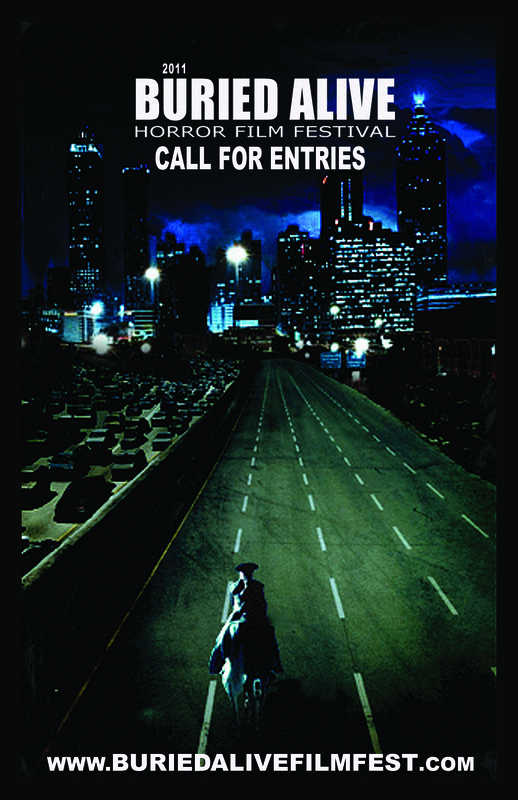 No matter if it’s feature-length or short-form, a slasher or a ghost story, a zombie flick or a horror comedy, a suspenseful thriller or a horror documentary, all films in this exciting and growing genre are welcome. Our staff and judges come from across the local horror community, and with their discerning eyes can truly decide what should remain buried and what should be unearthed.